This first picture is Jakes favourite socks we were lucky enough to be given this camo yarn in the unloved sock yarn from Maryse. of camouflage socks knitted out of the ugliest acrylic camo yarn ever, that he bought himself. Why? Have you seen those socks? 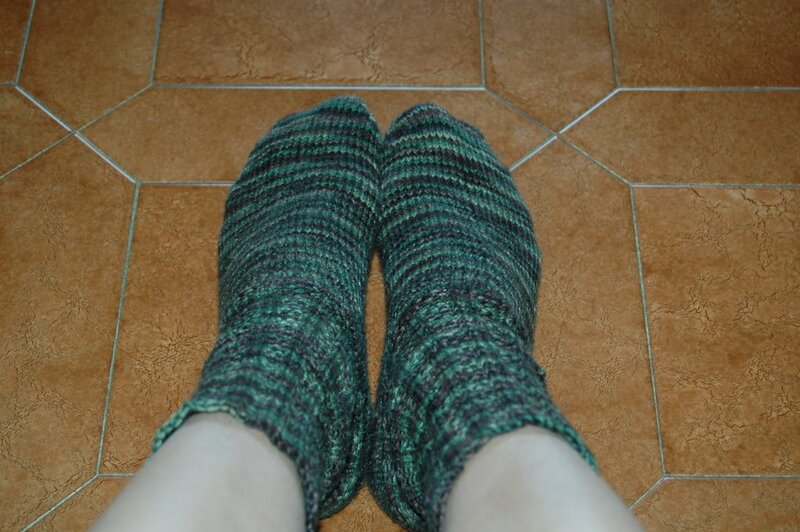 He is currently in the queue for another pair of socks, he has of course chosen camouflage colour yarn. He did also ask if the old ones could be repaired, not by me, I told him to ask his Papa, he is the only person I know that can and does darn socks. 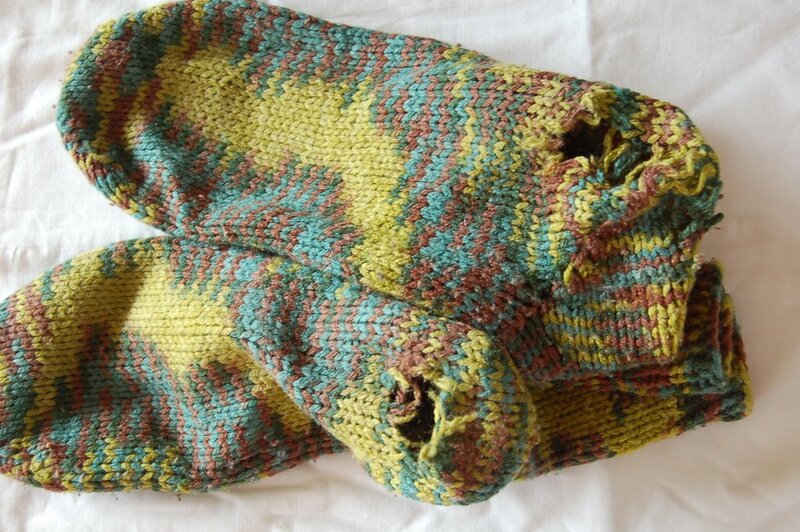 I’ll just knit new ones and keep these for his memory box, they are of course known as the Ugly Socks.